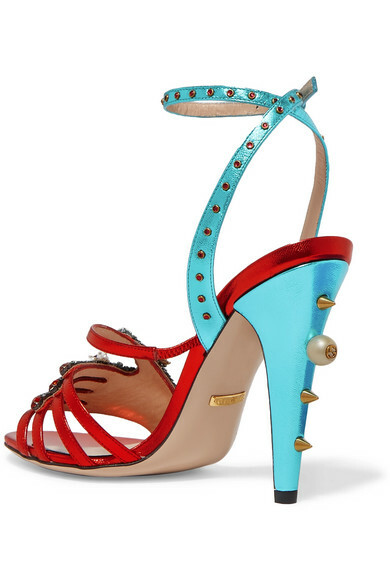 Gucci's metallic red and blue leather sandals are pierced with 'GG'-embellished Swarovski pearls and gold studs at the cone heel. 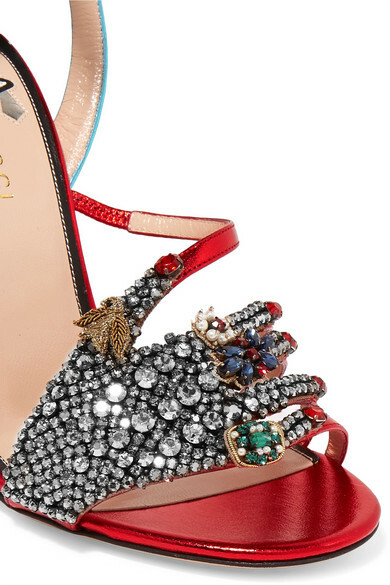 This runway pair is strewn with glistening jewels along each strap, while the right shoe is adorned with a crystal hand wearing rings - a reference to Alessandro Michele's vast personal collection. Shown here with: Attico Jacket, The Row Clutch.